I have decided to move some free kits to my store. "Cherry On Ice" has been very popular and has over 3,000 downloads so before I lose the link for good I transfered it to my store!! 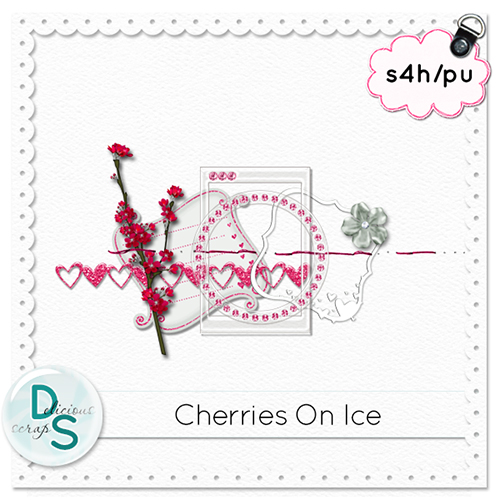 I also made a PTU kit using the same colour scheme called "Cherries On Ice". 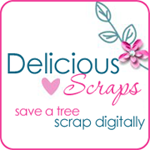 Click on the image to get it at my store! It has 12 papers and over 50 elements! Thanks for this lovely kit, there are some beautiful frames in here! Thank you so much for this Freebie. I want to let you know that I posted a link to your blog in Creative Busy Hands Scrapbook Freebies Search List, under the Elements Only, Papers Only post on Feb. 06, 2009. Thanks again. Just stopping by to pick up a few things that didn't DL right the first time. You have such pretty stuff here, thank you so much for sharing! !